Can anyone please tell me what sort of tool is used to remove the hose clips, and also the proper name for them as well. I have googled away but ended up buying the wrong thing. Any recs on best place to buy would also be wonderful. Mind you what are your thoughts please on their effectiveness and would I be better off by just replacing the clips with the more modern worm drive type. They come in different sizes and single or double-eared. Clips and tools available on Ebay. I remove them by opening up the 'ear' with pointed pliers or a screwdriver to loosen the grip. However, I much prefer to use Fuel Injection Clamps - NOT the Jubilee worm drive clips which are unsafe for fuel lines due to their ability to work loose. I've always used Jubilee clips or Spring clips. I've never had one work loose ever. I've never liked Oetiker clips as they are a pain to remove and are not re-usable. Fuel injection clamps are OK too. Well thanks guys very helpful. 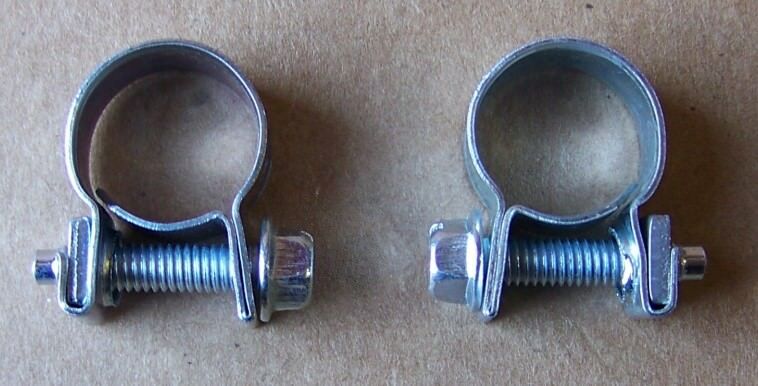 Think I'll go with the fuel injection clamps they look the easiest and appear safe. I use these on my K1200R.